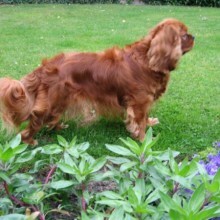 The Cavalier (‘Cavvy’) has the reputation of being a gentle, affectionate companion dog, but there will be variations in temperament as with all breeds. Possibly incorrectly placed in the Toy group of breeds, the Cavalier needs plenty of exercise and stimulation. The Cavalier’s long, fine coat needs daily attention to keep it tangle free and fur between the toes needs to be kept trim. Average lifespan 10 years. The long hair of the Cavalier means that the coat can easily become tangled and matted. The over long ears of the show type mean that when following a scent the ears can be trodden on and prone to collect dirt and debris. Grass seeds can lodge in ears and toes. The short nose of the Cavalier means that many of them suffer from brachycephalic airway syndrome which affects their breathing, cooling system and exercicse tolerance. The Cavalier head shape has caused a disparity between the brain and skull volume causing Chiari-like malformation and Syringomyelia – a painful neurological disease. The head shape also results in a shortened eustacian tube and obstructive tissue leading to the build up of mucus in the inner ear causing discomfort and partial deafness. Chiari malformation Syringomyelia (CMSM) An extremely high incidence in this breed. 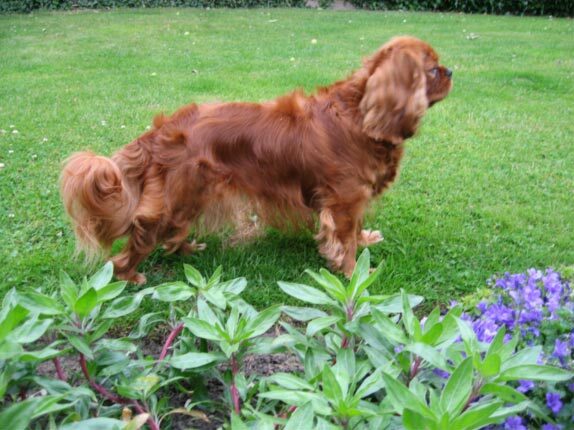 Almost all Cavaliers have the Chiari malformation and at 6 years and older 70% will have SM. 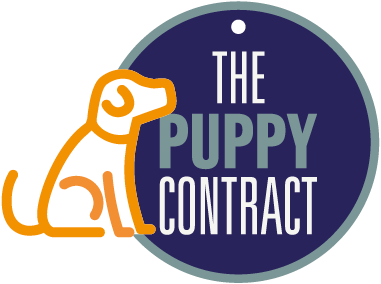 You are strongly advised to go to a breeder who uses the BVA/KC CMSM scheme rather than any other scheme. Mitral Valve Disease (MVD) Heart scheme: both parents clear of heart murmur at two and a half years and grandparents clear at 5 years. MVD has a very high incidence in the breed with 50% developing heart murmurs by the age of 5 years. 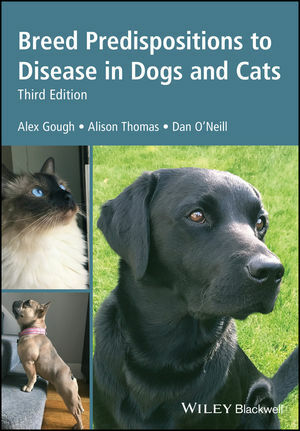 Many Cavaliers will die prematurely from this disease.